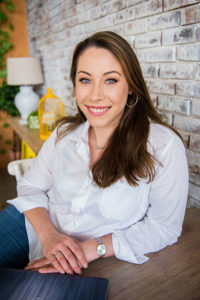 Mia Klitsas is the Co-founder of Moxie products, which is a full suite of women’s feminine hygiene products (tampons, pads, liners and more recently, an Australian Certified Organic tampon range). She also helped champion the launch of an initiative called ‘Pads for Pads’, where a portion of the profits generated by the sale of Moxie products provide young Ugandan school girls with sustainable, reusable ‘AFRIpads’ menstrual hygiene kits and education. 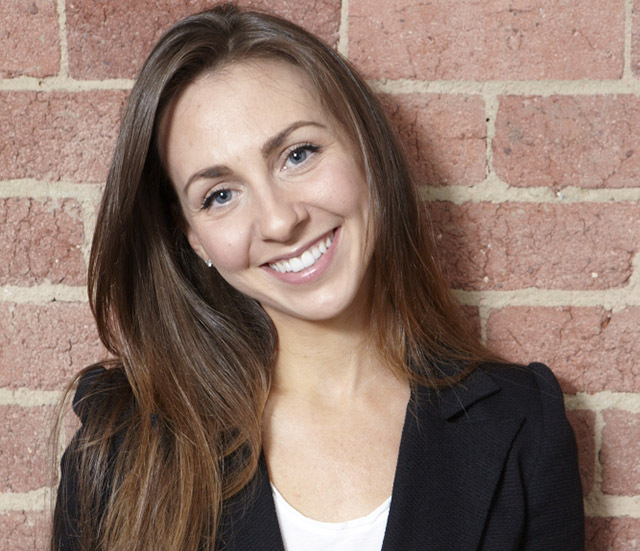 In 2014, Mia was proud to be named Telstra Young Businesswoman of the Year for Victoria. What do you do, and how did you start? I’m the co-founder and Director of Moxie personal care products. I started the business just over ten years ago after a crazy idea to put tampons in cute tins, so that they would stop rolling around in my handbag! Along with a business partner, we developed a product, pitched it to Woolworths and soon Moxie was on the shelves around Australia. We now export our range and have just launched an online subscription service, Moxie Box Club. What was the #1 thing that was holding you back from achieving your career goals? I don’t think there was anything holding me back, to be honest. I was really young when I started and was just so motivated to do my own thing and work in an environment where I could freely execute my own ideas. Over the years though, I’ve found that probably the only thing holding me back is myself! So every few months I take some time out to re-set and write or re-visit my short and long-term goals. It helps keep me on track (it reminds me what I should start doing, stop doing and keep doing!). Do you think it is valuable for women to have a mentor or business coach? It can be valuable for anybody, not just women. I have had mentors over the years at different times and now mentor students myself, and it’s certainly a really helpful way to sound-board your thoughts and ideas to people who have perhaps been there before you. Experience sharing is priceless and the learning goes both ways! Mia, what was your memorable ‘aha’ moment that landed you where you are now in your career? I was in a Priceline store at the bottom of my university building back when I was studying there, shopping with girlfriends for all our must haves when I realised that the ONE product we weren’t shopping for together or talking about was our tampons and pads. It dawned on me then just how much work could be done within the space to bring femininity, style and open conversation back to an otherwise dull, unfashionable and taboo category. It’s actually a quote by a famous Canadian hockey player, but a good friend and mentor said this to me once and it has really stuck with me. It’s so incredibly true. What’s one app or website you cannot live without? Slack. It’s a really great tool for communicating with your team in real time and file sharing, no matter where you are in the world! Sometimes it will work to rush into things but other times it will benefit you to be calculated and think things through. Sometimes it will be hard to tell the difference but go with your instincts! A website, book or resource that has helped you in your career or inspired you and why? Wow, so many!! TedX talks, YouTube, Instagram, The Daily Life (online), Arianna Huffington’s book ‘Thrive’, just to name a few. I don’t have one ‘go to’ source as such, inspiration is everywhere – you just need to be open to it. Take a picture of one thing you can’t live without – could be a laptop, coffee, pen, family member, pet (anything!)? I can’t live without my Moxie, of course! It’s my Ultimate Wingwoman and I’d hate to be caught without it!